Despite being heralded as an acclaimed method for poverty reduction worldwide, the key aspects of traditional microfinance have created a sociological as well as psychological barrier in the Muslim social and intellectual hegemony in Bangladesh. The high interest-based loans, encouraging the poorest population for a shortcut but unstable route for development and the overwhelming focus on women as the beneficiaries of microfinance are few of the many aspects of the problem. The question regarding the effectiveness of microfinance as a tool for social justice is also under serious scrutiny worldwide. At the same time, the concept of Islamic microfinance is slowly taking shape in some Muslim countries including Bangladesh, aiming to solve the strategic problems with microfinance. By rectifying the ideas of microfinance with the general tools of Islamic financial mechanisms in the grass root level with a proper management of the Zakat can accelerate the process of poverty alleviation in Muslim countries. Finding Shariah accepted solutions for the shortcomings of mainstream microfinance and effective implementation of those approaches will be an effective tool for ensuring sustainable development as well as establishing social justice in Muslim world. Being a developing nation in South Asia, Bangladesh has shown an apparently significant progress in poverty alleviation through microcredit. The terminal populations living at the bottom level of the production chain are being empowered by this economic tool, and it has been globally acclaimed and adopted for its effectiveness. 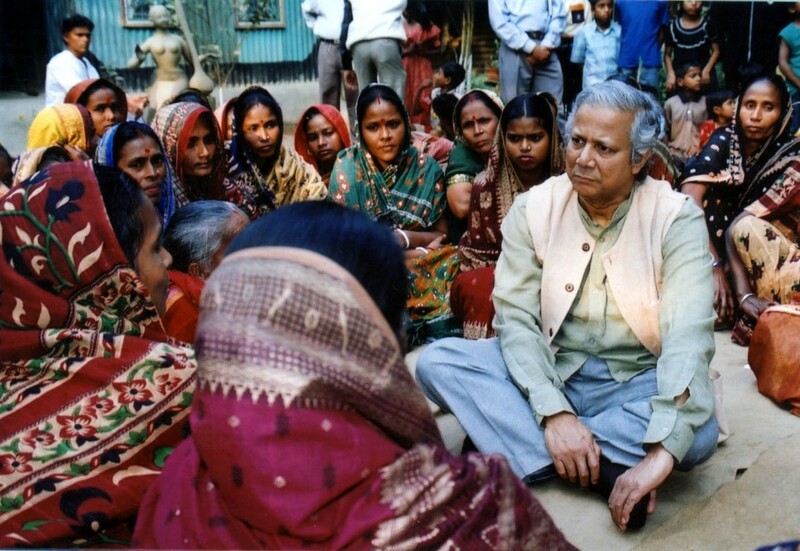 By providing financial services to the people excluded from general banking system that was not interested in providing funds for their income generating micro-enterprises, Grameen Bank of Bangladesh and many other Microfinance institutions (MFIs) are marching forward to economically empower the ultra-poor populations, thereby achieving the sustainable development goals. The question regarding the effectiveness of microfinance as a tool for social justice is also under serious scrutiny worldwide, as the recent insights showed significant negative impacts of the system, portraying it as an impediment for sustainable development and poverty alleviation. Financiers in some countries are now leaving the bloated microfinance sector, as it stands on the verge of a self orchestrated collapse. Targeting the poorest versus the issue of achieving sustainability has become a major question as well. This paper will show how the developing concept of Islamic microfinance which is slowly taking shape in Bangladesh and a few other Muslim countries can reach out to solve the strategic problems with microfinance. By rectifying the ideas of traditional microfinance and loan system by implementing Shariah accepted solutions for the shortcomings of mainstream microfinance could be a viable tool for ensuring sustainable development as well as social justice in Muslim world. Bangladesh, the third largest Muslim country of the world is one of the developing countries with a huge burden of population. In 2010, it was estimated that 43.3 percent of the people living in Bangladesh live below the poverty line and more than 11 percent live in absolute poverty. The number of poor was 78.2 million in 1970 but by 2009 the number increased to 80.46 million. (World Bank, 2009) They suffer from acute rural-urban economic disparity coupled with lack of education and lack of proper health and sanitation facilities. Traditionally, the ultra poor people in Bangladesh developing countries were not able to get financial support from conventional Banks and other institutions, because of low income or collateral. 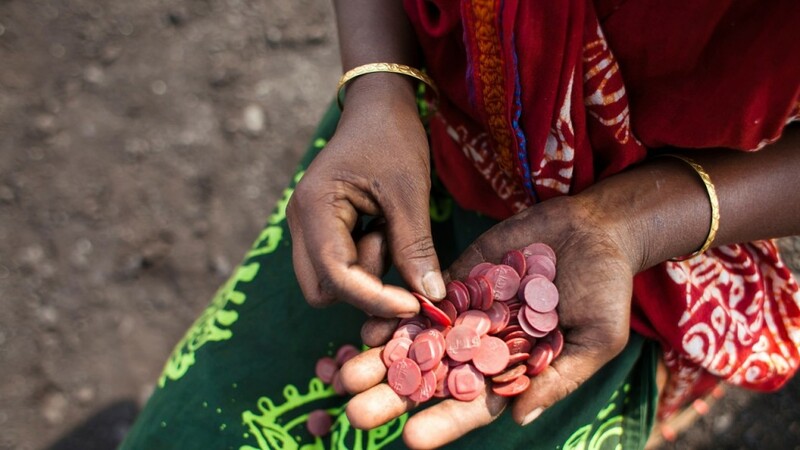 Microfinance is a basic financial service consisting of credit, savings and insurance. It empowers the most underprivileged section of the society with the opportunity to borrow, save and invest money to enhance their living standard, thus paving the way if sustainable development. Institutionalized and popularized by the Bangladeshi economist Muhammad Yunus, The key concept of Microcredit has evolved over the years and does not only provide credit to the poor, but also provides a bundle of financial services including savings, insurance, remittances and non-financial services such as financial literally training and skill developing programs; microcredit is now referred to as microfinance. (Armendariaz de Aghion and Morduch 2005) And now, the first MFI of the modern world Grameen Bank boast of 8.1 million borrowers, 97 percent of whom are women. Primary goal of development by alleviating poverty is to ensure economic stability and continuous growth. The key economic functions of a modern welfare state includes establishment of a legal framework for economic development, direction for allocating resources to improve economic efficiency, establishment of programs to improve distribution of income and stabilizing the economy through different sets of policies. The focus of these actions mostly stays upon the major institutions and stakeholders. In general, the poorest corner of the society stays out of the consideration and gets trapped into the vicious circle of poverty. So when the concept of microfinance came into prominence, it was globally acclaimed as the key instrument for fighting poverty. Despite the apparent success and popularity of microfinance, no clear evidence yet exists that microfinance programs have positive impacts. (Armendariaz de Aghion and Morduch 2005) It turns out that Microfinance usually ends up making poverty worse. Though the money was lent with an intention to generate income, in most of the cases it is used to fund consumption i.e. buying the basic necessities for survival or smoothing up family needs. For example, In South Africa consumption accounts for 94% of the microfinance use. (Hickel, 2015) As seen in a number of cases around the world, the consistent winners in the Microfinance ‘game’ are the lenders who charges exorbitant interest rates that sometimes reach up to 200% per annum. (Roodman, 2011) Gradually, this has become a socially accepted tool for extracting wealth and resources from the poor in some countries. Notable Islamic economists (Siddiqui, 2009; Chapra, 2009, Bagsiraj, 2009) continuously referred to the global economic crisis as a result of high interest rates (Riba) from the great depression to the crisis in western countries, as it does the same for microfinance as well. Traditional microfinance institutions based on compounding interest causes serious hardship on the borrowers in servicing their debt. In this regard, access to credit should be provided to the poor on more humane, interest-fee basis. This is only possible if microfinance system is integrated with Shariah accepted financial mechanisms i.e. Zakat or Waqf. (Laila, 2010) The major difference between conventional economics i.e. Microfinance and Islamic Microfinance is the application of Riba or interest, and in most of the times, compounding interest. Zakat distributes wealth from riches to the poor, where interest takes away the wealth from poor to riches. Murabaha is an asset based sale transaction used to finance goods needed as working capital. 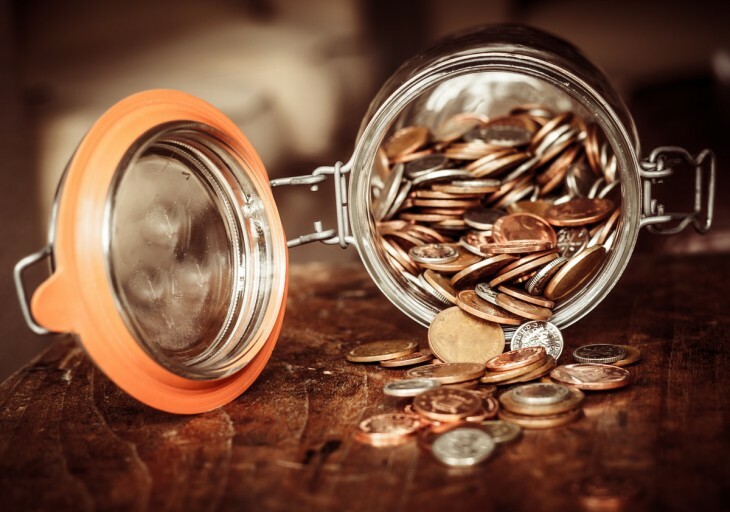 Typically, the client requests a specific commodity (tangible good) for purchase, which the financer procures directly from the market and subsequently resells to the client, after adding a ‘mark-up’ for the service provided. Musharaka is equity participation in a business venture, in which the parties share the profits or losses according to a predetermined ratio. Musharaka can be used for assets or for working capital. Mudaraba denotes trustee financing, in which one party acts as financer by providing the funds, while the other party provides the managerial expertise in executing the project. In this scheme, profits are shared by the both parties in a predetermined ratio, but the losses are borne entirely by the financer. Ijarah is a leasing contract typically used to finance equipments, such as small machinery for factories. Duration of the lease and related payments must be determined in advance in order to avoid any speculation. The contract must specify that the ownership of the asset and responsibility of its maintenance remain with the financer. This type of Ijarah may be followed by a contract for sale, through which the ownership of the commodity will be transferred to the lessee. Takaful is the equivalent of Islamic insurance. The word originates from the Arabic word kafala, which means guaranteeing each other or joint guarantee. Each participant contributes to a fund that is used support the group in times of need, such as death, crop loss, or accidents. Paid premiums are invested in a Sharia-complaint manner to avoid interest. Apart from microfinance, the most significant tool for poverty reduction could be the process of direct cash transfer with no strings attached. It delivered success where traditional microfinance fails as experiments have been conducted in countries like Namibia, Mexico and South Africa where participants were provided with financial grants, and the result was surprising. (Hanlon, Berrientos, Hulme, 2010). Consumption deficits were smoothed out, health indicators were improved and people successfully started small enterprises which dragged them out of the poverty line. The Govt. of Bangladesh has placed a number of policies to encourage the private sector for implementing initiatives for poverty reduction. In accordance to that plan, Islami Bangla Bangladesh Limited (IBBL), the countries first and the largest private Bank launched a project called ‘Rural Development Scheme’ (RDS) in 1995. The main goal of the RDS is to create employment opportunities for the poor by providing small and micro investments and to alleviate poverty through income generating activities. The RDS program follows the format of Grameen Bank, except the scheme uses the Islamic modes of investment based of profit and loss sharing methods (Musharaka and Mudaraba). In this system, the bank doesn’t issue the agreed upon loan amounts to customers in cash, rather deliver goods to the customers ensuring that the funding is invested into income generating activities. Study says, there are more than one million small businesses in Bangladesh as potential clients, but only 7 percent of them have access to formal financial institutions. (Parveen, 2009). This RDS project of IBBL was created to capture the market and to address the gap between clients below the poverty line and government, conventional MFIs and other NGOs. It follows a very comprehensive operational mechanism which has been proved to be very successful in benefitting the rural poor and ultra-poor community. The current repayment rate of RDS is at 99 percent, making this one of the most successful MFI schemes in Bangladesh. RDS follows a distinct methodology which is loosely similar to that of Grameen and other conventional MFIs. The loan is given to a group of five members living in a same village. A leader and a deputy are appointed to manage and coordinate the total process. In order to qualify for the loan, all the members are obliged to attend the weekly meetings at local office premises. They are precisely informed about the moral values, social rights and responsibilities of investment payment, collection of investment installments, personal savings and centre funds. An important aspect of this model is that it requires every member to open a Mudaraba account with a deposit of TK 20 per week. This saving can be withdrawn once members have fulfilled their liability towards the Bank. 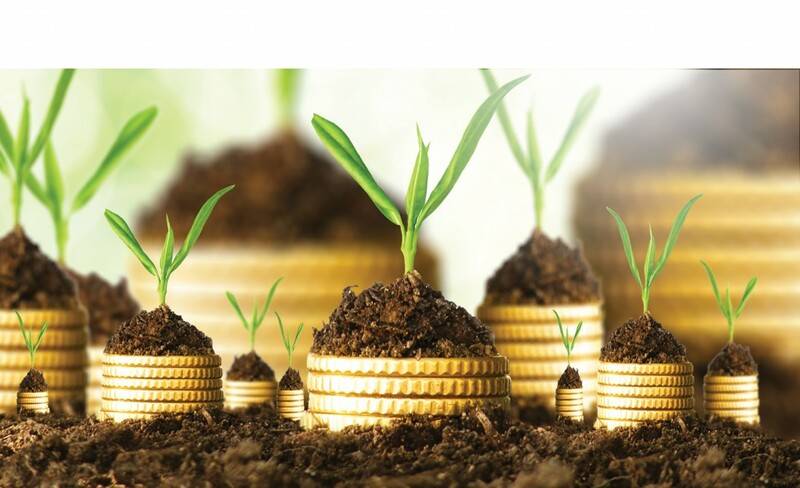 It encourages the habit of savings and ensures the sustainability of the fund. Besides, members are encouraged to deposit an amount of BDT 5 each week to a fund called Qard-e-Hasana, which is an interest free fund given to the ultra-poor people. The receiver of the Qard-e-Hasana is only liable for repayment of the principle. A key concern regarding the success of Islamic MFIs is the sustainability. Since most of the initial funding at the start-up level of an MFI comes from voluntary contribution or donations, their economic viability is fragile, mostly because of lack of fund mobilization and high management costs. Over time, as the Islamic MFI grows, savings and profits are accumulated which can be recycled into new loans. However, Islamic MFIs have not yet tapped the sources of funds from Islamic institutions of Zakat, charity and Waqf. (Rahman, Dean, 2013). The Islamic MFIs along with mainstream Islamic financial institutions must come forward to institutionalize the Zakat and Awkaf mechanism to ensure fund mobilization. Two different studies from Habib (2003) and Badiuzzaman (2006) clearly portrayed the positive impact of RDS in poverty alleviation mechanism. What makes this scheme different from any other mechanism is that it offers the clients, who successfully graduated the RDS, to commercial products of the Bank. This partnership between the Bank and the beneficiaries has been proved to be a win-win partnership, and it helped the bank to make this program a self-reliant sustainable one across the country. At this moment, Islamic microfinance accounts for less than 1 percent of the global microfinance outreach which are mainly concentrated in a number of countries. Bangladesh has the largest outreach of Islamic MFIs, yet the percentage accounts for less than 1 percent in total microfinance market share. The estimation of global population living below the poverty line is approximately 1.2 Billion, 44 percent of which live in Muslim countries and are potential clients of Islamic MFIs. Conventional MFIs have been successful in some extent to reduce poverty, but the problems of moral hazard and economic viability are not resolved. The Islamic based methodologies, in particular the waqf-based microfinance schemes have been proved to mitigate the problem. There is also a need to develop a welfare-based partnership model for Islamic MFIs which will focus on equity financing, which will promote profit and loss sharing unlike the conventional systems which distributes risk and return unevenly between rich and poor. Furthermore, the question of meeting the growing demand of Islamic MFI products within a cost-effective and sustainable process requires further research. Shyikh Mahdi is law practitioner and policy analyst. Armendariaz de Aghion, Beatriz and Morduch, Jonathan (2005) “The Economics of Microfinance”, The MIT Press. Duvendack M, Palmer-Jones R, Copstake JG, Hooper L, Loke Y, Rao N (2011), “What is the evidence of impact of microfinance on the well being of poor people”, EPPI Center, Social Science Research Unit, Institute of Education, University of London. Farooq, M. O. (2009), “The challenge of poverty and mapping out solutions: requisite paradigm shift from a problem-solving and Islamic perspective”, Journal of Islamic Economics, Banking and Finance, Vol. 5 No. 2. Hanlon, Joseph; Berrientos, Armando; Hulme, David, (2010) “Just Give Money to the Poor – The Development Revolution from the Global South”, Kumarian Press. Lascelles, David; Mendelson, Sam; Mendelson; Rozas, Daniels, (2014) “Microfinance Banana Skins 2014 – The CSFI Survey of Microfinance Risk”. Center for the Study of Financial Innovation. Obaidullah, Dr. Mohammad. (2007), “Islam, Poverty and Microfinance ‘Best Practices’” Institute of Halal Investing. Parveen, Jannat Ara. (2009) “Sustainability issues of Interest-free Microfinance Institutions in Rural Development and Poverty Alleviation. The Bangladesh perspective”. Theoritical and Empirical researches on Urban Management, Vol. 2. No 11:117. Rehman, Amir A. (2007, June 1) “Towards Islamic Microfinance: A Primer” CGAP Microfinance Gateway. Roodman, David. (2011), “Does Compartamos charge 195% interest?” Center for Global Development, Wachington D.C.
Roodman, David, (2012) “Due Diligence”, Center for Global Development, Washington D.C.